Hello, my name is Karen Hackett Mogen. 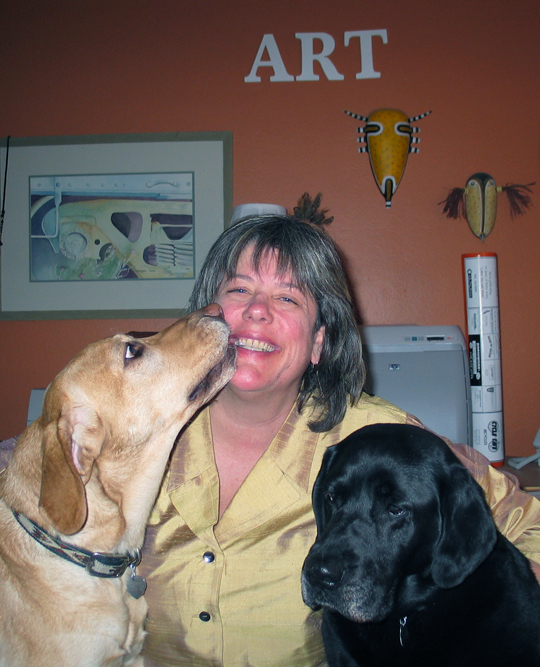 I am a graphic artist, photographer, juried watercolorist, mosaic artist, and decoy painter. Art has been a part of my life as long as I can remember. I started drawing as a child in the Chicago area and received a B.A. degree in Fine Arts from the University of New Mexico. 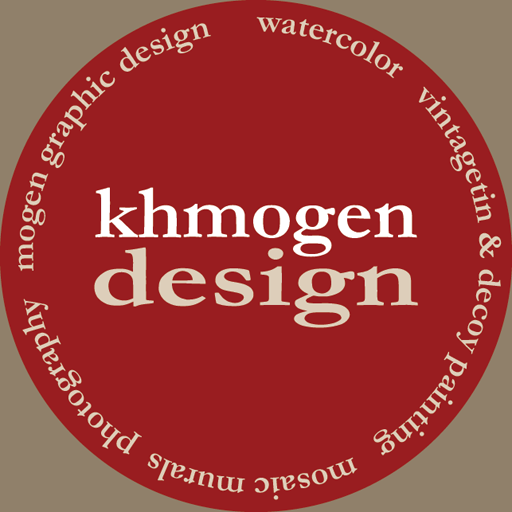 khmogen design was launched to share my creative services to those interested in what I can offer. 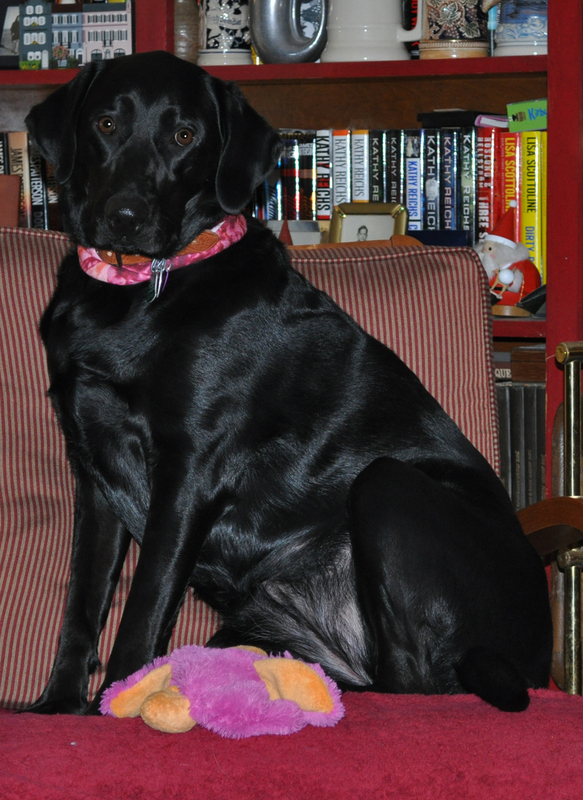 I live in Albuquerque, New Mexico with my beautiful black labrador, Freyja. She is my best friend. With Bergen (L)and Chloe (R), my dog angels. 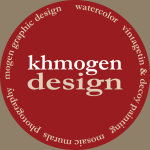 I have worked as a graphic artist for over 20 years with several government contractors here in Albuquerque. Over the years, my art has become more important so I have recently changed my path to pursue my own business. Photography is a tool as well as a medium that I use frequently to capture the beauty of New Mexico. I use my images for web design and as a source for painting subject matter. I am an award winning watercolor artist that has exhibited in popular juried Albuquerque art shows. I have exhibited in the summer New Mexico Arts and Crafts Fair, the Southwest Arts Festival and several New Mexico Watercolor Society shows . My love for nature is my inspiration for my organic painting subject matter, from animal portraiture to an exquisite flower or other interesting flora. Hand-painting decoys has become another media I enjoy. I love to paint several species of waterfowl. Up until now, I have been painting decorative decoys but I am excited to report that I recently found a supplier of unfinished hunting decoys that I will also have available. This means all of you duck hunters, I will have hand-painted decoys for your use. In addition to the painting I have created mosaics murals made out of glass and porcelain tile on my outside walls at my home. I would love to design and install more for other clients. They really add texture and color to a stucco wall on your outside patio.